Final recruitment takes place in Ghana, Nigeria, Kenya, South Africa and Cote d’Ivoire. All participants must provide personal information that is true and accurate. 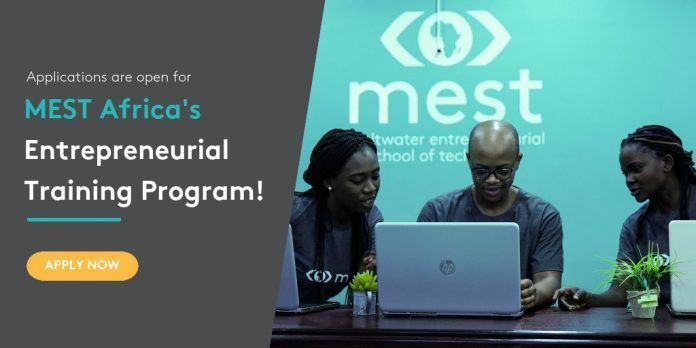 Accepted candidates must be able to commit to spending a year in Accra, Ghana at the MEST training program starting August. 2 InvitationQualified applicants will receive an invitation for a telephone interview with a member of the MEST team. 3 ScreeningApplicants who pass the telephone screening will be invited to take an online aptitude test. In-person group and individual interviews take place in South Africa in February; and in Ghana, Kenya, Nigeria and Cote d’Ivoire in May each year. 5 OffersOffers are sent out by the end of May each year. 6 Beginning of trainingTraining starts in August each year.